From Bilbo traveling to the lonely Mountain and Frodo’s journey to Mordor, to Steven Erikson’s Malazan novels having armies crossing fantasy continent after continent…the road trip, as it were, is a staple of science fiction and fantasy, particularly epic fantasy. See the scenery, meet interesting characters and explore the world! What could go wrong? 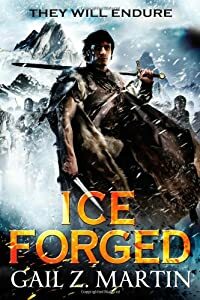 Gail Z Martin‘s latest novel is Ice Forged. My favorite fictional road trips include Canterbury Tales, David Edding’s Belgariad books, and David Drake’s Lord of the Isles series. A good road trip reveals hidden truths about the people who are traveling. If you’ve ever gone on a long car trip with friends or family, you know what I mean! You don’t really know someone until you’ve been stuck in a vehicle with them for 12 straight hours—or on a sailing ship on the high seas during a storm. Since things go wrong on long trips, they provide insight into resourcefulness and character. A really good “journey” story reveals the world and the characters simultaneously, while moving the story forward—no small feat! Campbell Award nominee Stina Leicht is the author of the Fey and the Fallen novels Of Blood and Honey as well as And Blue Skies from Pain. “What incredibly clever stuff do you know about the universe, Gytha Ogg?” said Granny. “Bugger all,” said Granny cheerfully. I enjoy travel. It isn’t often that I get to indulge, sadly, but I do enjoy it. The way I look at it, a trip isn’t only about the things you plan — it’s about the things you don’t. Like having to run across JFK airport with other travellers like a herd of cattle on speed because your flight didn’t get to New York in time for the connection and having the nice airport folks pick you up with their electric trams mid run. Like walking in New York late at night and finding a black feather, stooping to pick it up and then spotting the magnificent carvings of angels in black granite a few feet away. Like getting lost on foot in a London suburb at midnight in cold and laughing because you’re lost in LONDON for God’s sake, and all the train stations are closed. (But hey, you’ve got your A to Zed.) Like riding in a taxi in Mexico City at night and the driver gunning it through every red light along the way. (I suspect he had telepathy and thus, knew the intersections were empty of cars. At least, we all prayed that was the case.) Like discovering that a thunderstorm turning the sky green in Seattle isn’t as big a deal as it is in Texas. Or taking a limo to an Elvis-themed wedding in Las Vegas with the bride dressed as a show girl and her headdress is too tall to fit inside, and she has to sit on the floor with the roof open. There’s just something about taking yourself outside your comfort zone and being okay with not only exploring but taking the good with the bad — that’s what Adventure with a capital A is all about. It’s going places you’ve never been before and doing silly things you’d never do at home and enjoying yourself anyway. In reality, travel is a test of yourself and of friendship — or even a marriage because face it, travel is uncomfortable. That’s the beauty of it. If you can travel together and still have fun, you’ve got it made as far as life goes. That’s a solid relationship. In story, it should be the same. So, I do enjoy a good ‘road trip’ story. Maybe it’s the influence of Tolkien, or maybe it’s StarTrek? To boldly go where no you has gone before. Because the you that returns home has changed just a bit from the one that left home. The new you is bigger, somehow. Ah, that Joseph Campbell thing. A good travel story has all those elements in it. That said, one of my favorite Fantasy stories with travel in it is Witches Abroad by Terry Pratchett. I suspect the reasons why it stood out for me are (a) all the main characters are female,, (b) Granny Weatherwax, (c) Terry Pratchett effectively doing a tour of all the fairy tales, like, ever, (d) Dracula getting stunned with a window shutter and then eaten by an ill-tempered cat, (e) the running of the bulls, (f) Granny Weatherwax cheating at poker on a riverboat, (g) one or three classic literature references, and (h) Granny Weatherwax. It’s great stuff. What makes it so fun is that Pratchett turns everything every reader knows about Epic Fantasy on its head, and he leaves in the bits about travel that always go wrong while he’s at it. Luggage is lost. Money is stolen. The travelers bicker. Then they make up. Oh, and I nearly forgot the dwarf bread. Because you really have to remember the dwarf bread. Dwarf bread is miraculous. It’s amazing how you can find things to eat in order to avoid eating dwarf bread. If the sky is green in Texas, it means tornado weather, and it’s time to panic. A lot. Turns out, in Seattle it just means rain. There aren’t many of those in Epic Fantasy. If you get the idea that I love Granny Weatherwax, you’d be right. A. Lee Martinezis a science fiction fantasy author. His tenth book, Helen and Troy’s Epic Road Quest, is out in stores now. The Odyssey is probably the greatest road trip in popular culture. Except it’s not on a road. Putting that little technicality aside, it’s one guys journey with his friends to reach his girl in time to rescue her from hooking up with the wrong guy. As epic journeys go, it’s hard to match the adventures of Odysseus, who has a hell of a time of it. I get that, story wise, the guy offends the gods, and the gods, always being a bit obnoxious, don’t just smite him then and there, but instead send him sailing aimlessly for ten years. Along the way, he fights monsters, experiments with crazy amnesia drugs, and by the time he gets home, he goes through this elaborate ruse to kill a bunch of people who are making moves on his wife. But then he does, and it’s all smooth sailing from there. I like to think of it as The Road to Bali, but with more whirlpools of sucking doom and ship-devouring monsters. And that can only be a good thing. SF author Kay Kenyon’s first fantasy novel, A Thousand Perfect Things, will be out in August as an eBook and in print. The book is an epic tale of magic in a re-imagined England and India, when a Victorian woman takes on the scientific establishment, palace intrigues, ghosts and a great mutiny — by marshaling the powers of magic. She talks about books and writing on her blog www.kaykenyon.com. The obvious recent road trip story–that is really a road trip– is Neil Gaiman’s American Gods. As with most physical journey stories, the tale becomes a bit episodic, but this novel makes up for it with the profound theme (American Gods, after all!) and outrageous episodes. I loved the idea of old Odin on a road trip to gather his counterparts (the old gods) for a show down with our new deities, money and power. But the best side excursion we take on an sf/f road trip story is into the milieu itself. This has always been my favorite kind of story. There must be plot and character, but the world itself is the excuse to jump in the car, airship, sailing vessel–and go. I especially like Naomi Novik’s travel sequences in her Temeraire series, such as the journey from England to China in Throne of Jade. This second in the series of her altered history fantasies shows us the permutations of dragon culture, with their geographic range and effect upon the world. You just gotta get on the road if you want to see stuff. By way of classics, I love having the chance to mention the superb Downward to the Earth by Robert Silverberg with the lovely, elephantine Nildoror. This story is less a road trip than a pilgrimage, wherein in Silverberg takes on ideas like transcendance and colonialism. Along the way, like the best of this kind of story, it shows us the forbidden, intriguing sights left off the map. Brenda Cooper writes science fiction and fantasy, including short fiction (by invitation) in Mercedes Lackey’s Valdemar. Her most recent book is The Creative Fire. Her next novel, The Diamond Deep, will be out from Pyr in October, and can be pre-ordered now. For more, see www.brenda-cooper.com . Road trips in genre stories are all about the road itself – science fiction and fantasy almost always depends on good setting. I read these books to be taken away from here – to go adventuring. And where I adventure is really important. I want it to be familiar enough that I feel at least a bit comfortable, and at the same time different enough that I’m surprised and amazed. The second thing that matters in road trip stories is the destination and the task that waits there – wether that’s the ring for Frodo or a chance to win a kingdom for Daenerys. The ring and it’s temptation call to the good and the greedy in all of us, the image of coming home with dragons (dragons!) is fabulous. I want dragons. I want to travel to the stars. Isn’t that why we read fantastic fiction? Laura Resnick is the author of the popular Esther Diamond urban fantasy series, whose releases include Disappearing Nightly, Doppelgangster, Unsympathetic Magic, Vamparazzi, Polterheist, and The Misfortune Cookie (November 2013). 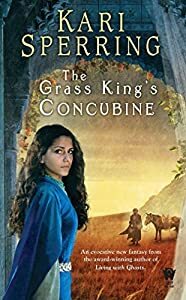 She has also written traditional fantasy novels such as In Legend Born, The Destroyer Goddess, and The White Dragon, which made multiple “Year’s Best” lists. You can find her on the Web at LauraResnick.com. Road trips loom large as major touchstones in my own life. I spent 3 different summers backpacking across Europe. I drove cross-country with my grandfather from California to Florida a few years before he died. I spent most of a year crossing Africa overland, from the shores of northern Morocco down to the Cape of Good Hope. And I’ve been thinking lately about what my next road trip should be (if my book deadlines ever let me leave home for that long again). A good road trip in sf/f is exactly what it is in life: a pilgrimage, an epic adventure, a personal quest, and/or a life-changing face-to-face confrontation with yourself and your demons. In fiction, of course, a road trip is also a very handy story structure to turn the metaphor of “the hero’s journey” into a set of concrete challenges, obstacles, setbacks, milestones, and triumphs along a story route that proceeds physically toward a tangible goal. The pitfall or story trap of any road-trip fiction is that, if mishandled, it can just turn into an episodic perils-of-Pauline sets of events without any compelling tension or climatic impact. Which makes it no more engaging than a story where the characters stay in the same place the whole time that’s not really about anything, either. Fantasy is particularly well-suited to strong road trip stories, since fantasy is so often Quest Fiction. Whether the protagonist has answered the call to adventure willingly or with appalled reluctance, once she’s on the road, a fantasy protagonist typically has a specific (and usually daunting, important) goal at the climax of the journey—a journey that’s often so tough and terrifying that, along the way, she grows into the person she was meant to be, while non-hero types fall by the wayside or surrender to bad influences. My personal favorite is John Bellairs’ The Face In the Frost (which I nominated for The Great American Fantasy Novel in an essay that appeared on The Ranting Dragon). 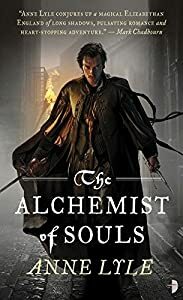 It’s a little gem of a novel about two wizards who set off on their road trip when they’re driven out of their home by a mysterious evil force that’s attacking them there. They journey north, through a series of challenges, traps, and dangers, encountering old friends and enemies, and new terrors and problems, as they search for the deadly adversary trying to destroy them—and a whole lot of other people, too. It’s magical, charming, sometimes chilling story of friendship, loyalty, duty, sacrifice, survival, betrayal, greed, facing your demons, dealing with consequences, and choosing your path in life. And it will make you pretty reluctant ever again to stay at an unfamiliar roadside inn…. Author and Freelance Editor Laura Anne Gilman is the author of the popular Cosa Nostradamus novels, the award-nominated The Vineart War trilogy, as well as the story collection Dragon Virus. She also has written the mystery Collared under the pen name L.A. Kornetsky. Her newest novel, first in the Portals Duology, is Heart of Briar. Looking back now at The Chronicles of Prydain, five middle-grade books that tell the story of a young man’s journey from Assistant Pig-Keeper to High King, it’s easy to see how simplistic they were, how much was lifted from Welsh mythology, and to scorn the books as old-fashioned, with nothing ground-breaking or novel about it. But Taran Wanderer, which was the fourth of five books, but published after the fifth book, was always, to my mind, different. It doesn’t have sweeping descriptions of the landscape, or great battles, or even a Grand Quest. Instead, Taran leaves his friends (save the faithful Gurgi, who was the spiritual and pelted ancestor of Chewbacca, I am convinced), and takes to the the road to discover the truth of his origins, in the hopes that he will be noble-born enough to woo the girl he loves. It’s a very selfish, very private quest, of no importance to anyone save himself. And along the way, yes, he is caught up in adventures, with a healthy dose of magical talismans, evil wizards, boastful brigands and companions in need of rescue, but more importantly he meets people who enlighten him, who humble him, who hurt him, and who shape the person that he becomes. Taran Wanderer was special to me as a kid, and still as an adult, because the richest moments in the book have less to do with battles or spells, less to do with what he does, and more to do with what he learns. And in the end, there is no world-changing revelation, no grand victory or triumphant return. The book isn’t about great achievements but about failures and recovery, of screwing up and owning up to it and making it right – and learning that sometimes, you can’t make it right, that sometimes what you desire is out of your reach (a skill you will never master, a goal you’ll never achieve). But, Alexander reminds us, that learning adds to who you are, and shapes who you will become. When I was a pre-teen, when I was a teen, when I was an adult, I kept going back to this book and seeing something new in it, some aspect of my current journey reflected in Taran’s. That’s the mark of a classic “Road Trip,” in any genre. Juliet E McKenna has always loved history, myth and other worlds. She has written fifteen epic fantasy novels in four related but distinct sequences, most recently Defiant Peaks, concluding The Hadrumal Crisistrilogy. In between novels, she writes diverse shorter fiction, reviews for web and print magazines and promotes SF & Fantasy through genre conventions and teaching creative writing. Living in the Cotswolds, England, she fits all this around her husband and teenage sons – and vice versa. A lot of her characters go on journeys, willingly or unwillingly. Some, but not all, come back and some come back bringing no end of trouble with them. One of my very favourite journeys in SF is Dagmar Shaw’s escape from Jakarta in Walter Jon Williams’ This is Not a Game. She is supposed to be on holiday but this near-future Indonesia is suddenly having a revolution so she is stuck, unable to get a flight out of a city tearing itself apart. This is where she starts seeing whole new facets to the local scenery and population, her first-world-problems confronting their third-world-reality… The thing is though, Dagmar is an online, multiplayer-game designer. So she crowd-sources solutions to her problem through that community. Her inventive journey is only the start of a book which I wholeheartedly recommend. Overall, this entertaining and insightful trilogy explores a few of the paths which our current and rapidly changing relationships with technology might sweep us all down, with planned and unintended detours. The first two volumes of Robin Hobb’s Rainwild Chronicles involve a river rather than a road trip but Dragon Keeper and Dragon Haven have all the archetypal aspects of epic journeying for me. A band of people are brought together by circumstance; some travelling in hopes of finding what they long for, some fleeing an intolerable situation (and some doing both) as well as some driven into exile for good reasons and bad. Along with those simply facilitating their journey because that’s what they do. And some of them are dragons – but not hugely powerful, world-shaking dragons. They are blighted, frustrated beasts and all the more dangerous – and more vulnerable – for that. 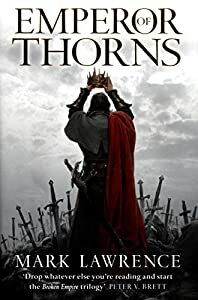 The arduous journey sees individuals, human and dragon, learn more about themselves, more about each other and a great deal more about the unforgiving unfairness of life as well as the overt and covert malice driving their enemies. Again these are all classic elements but this series rises far above mere box-ticking. Hobb is using this core genre premise to write a complex and multi-layered story about wholly believable characters which engages on its own thrilling merits, which also explores and expands the breadth of current epic fantasy fiction and which, last but by no means least, reflects our own world to prompt personal reflection, thanks to speculative fiction’s magic mirror. For any writer, structuring a story around a journey is only the first step. If that journey-theme is all there is to the tale, that author will fall flat on their face. 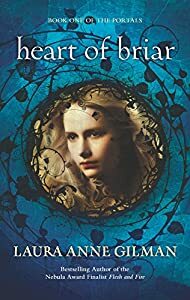 Helen Lowe is an SFF author, poet, and interviewer, and won the Gemmell Morningstar Award 2012 for The Heir of Night (The Wall Of Night Series, Book One.) 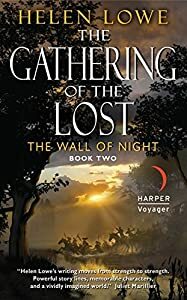 The sequel, The Gathering of The Lost, is currently longlisted for the Gemmell Legend Award. Helen posts every day on her Helen Lowe on Anything, Really blog, on the first of every month on the Supernatural Underground, as well as being a BookSworn author and posting occasionally here on SF Signal. You can also follow her on Twitter: @helenl0we. I’ve never made any bones about the fact that I write epic fantasy because I love epic stories and—quite shamelessly—adore many of the classic tropes such as the “road trip”, aka the quest journey. We only have to look at the grand epic tales of Tolkien and Erikson, which Paul cites in his opening premise, to suspect that one of the reasons these tropes continue to “speak” to us so powerfully is because they provide building blocks for some mighty fine story telling. One of the very earliest “road trips”—although it’s sea roads, not land routes—is The Odyssey, where Odysseus’ return from Ilium to Ithaca is both temporal journey and geography lesson, albeit with plenty of mythical encounters thrown in. It’s also the quest journey as adventure, where Odysseus survives by stratagem and wit, but arguably does not evolve greatly internally. A darker and more somber journey is Beowulf’s expedition to Hrothgar’s hall; here the focus is less on the journey, more on the personal challenge to the hero in undertaking the quest. As a young reader, a favorite addition to these classic tales was CS Lewis’s The Horse & His Boy, which combines the physical and geographic journey of the protagonists, Shasta and Bree, Aravis and Hwin, with adventure. The four, the two talking horses and their companions, evade capture, cross a desert, and save Archenland and Narnia from invasion—but the power of the story lies in the internal journey of three of the four: Shasta’s around identity, Aravis in terms of consequence and responsibility, and Bree’s toward self-knowledge. The same combination of internal and external progression was also exemplified by another enduring favourite, Ursula Le Guin’s A Wizard of Earthsea. Since these early encounters, I have met variants of the “road trip” in many forms, from The Lord Of The Rings (Tolkien) to The Left Hand Of Darkness (Le Guin), and television shows like Monkey (i.e. The Journey To The West) and Carnivale. One of the reasons the “road trip” endures is because it propels the protagonist(s) into the adventure physically, but also emotionally—the familiar and the sure is stripped away, exposing the characters to new ideas and experiences. This makes the road trip itself “adventure”, while also offering the possibility of further derring-do through the perils of the road. The tension lies in the challenge of overcoming danger, while the protagonist’s encounter with the unknown offers both mystery and possibility, which in turn facilitates the character’s internal journey. The road trip is also a great world building tool—and from The Odyssey to Kate Elliott’s Spiritwalker series, to my own Wall Of Night quartet, world building is integral to the Fantasist’s art. The greatest risk of the “road trip” is that it becomes too linear, or the purpose of the story in its own right, overwhelming other elements. The best road trips, I feel, are those where the internal journey of the protagonist keeps pace with the physical travel, but also where there is plenty of adventure along the way. That is why The Horse & His Boy and A Wizard Of Earthsea are fine examples of the trope—and why I would argue that The Hobbit is a better example than The Lord of the Rings: Bilbo alters more substantially through his journey than Frodo does, or even Sam, both of whom become more fully what they already were. And the reason I cite The Left Hand Of Darkness as a great example of the tradition is not because of the protagonist, Genly Ai’s, transition between the two realms of Winter (Gethen), or even the epic return journey across the ice, but because of his profound and painful shift toward greater self-awareness in an alien world. Other favourite examples that involve the linear journey in juxtaposition with an internal one include 2001: A Space Odyssey (Arthur C Clarke), Patricia McKillip’s The Riddlemaster Of Hed trilogy, Vanye’s journey in Gates Of Ivrel (CJ Cherryh), and that of the wizard, Jenny Waynest, in Barbara Hambly’s Dragonsbane. Yet ultimately, although I love the road trip because of the power it can bring to epic stories, I mainly “heart” it because it’s great fun, offering color, adventure, fellow travellers—both diverse and dull—the opportunity to open one’s mind or cling rigidly to previously held experience, and plenty of salt spray and road dust. In other words, the primary purpose of the road trip is the journey itself: let’s enjoy it and have more of that fun. Violette Malan is the author of the Dhulyn and Parno series of sword and sorcery adventures, as well as the Mirror Lands series of primary world fantasies. She’s a regular contributor to Black Gate, and as VM Escalada, she writes the soon-to-be released Halls of Law series. Visit her website VioletteMalan.com. The voyage trope is something familiar to all of us, and goes back as far as western literature – or middle-eastern, for that matter, if we consider the voyages of Sinbad. I don’t think we can talk about a road trip without beginning with the archetype of all such stories, Homer’s Odyssey. It’s to Homer’s epic that we should look for the basic components of a genre story. Probably the most important is a compelling reason for the trip to happen in the first place, and let’s not forget to save some vital or at least interesting event to take place upon arrival. For Odysseus it was finally getting home after ten years of war, and having to clear away the men who’d lined up to marry his wife. For Bilbo it was the slaying of the dragon and the restoration of their kingdom to the dwarves; for Frodo the destruction of the Ring. But “finally” is the operative word here, because however compelling the reason for the journey, and however exciting the final event of the story might be, the reader will never get there if the journey doesn’t keep them reading. Which is a big hint, if we needed one, that the voyage trope is a metaphor for life. What goes wrong? Everything. So it’s the journey that’s the story, and the whole series of events or episodes allows us to watch the protagonist’s character develop. Or, at the very least, shows us what that character is. Odysseus is the most clever of the Greeks, and his every encounter proves that to us. He’s the one who figures out how to deal with the Cyclops, the Sirens, Scylla and Charybdis, and Circe. Of course, just how he deals with these things also shows him to be pretty ruthless and pragmatic, but those were attributes well-thought-of at the time. I’m a big fan of road trip stories in general, but I’d like to single out a few in particular. Tad Williams’ Otherland series is almost an archetype in itself. Multiple characters, multiple landscapes, multiple journeys – in many ways it defies brief description. You know how people say that setting can be a character in a story? Well in the Otherland books that’s not a metaphor. An older favourite is a fantasy from an SF writer, Robert Heinlein’s Glory Road. The title itself is an acknowledgement of and a bow to the voyage trope. Heinlein plays with some of the conventions of the heroic epic, and even has us follow the hero, Oscar, into his post-journey life. What happens? Oscar discovers it’s pretty boring hanging around the palace, and gets back on the glory road. In a way, Heinlein is telling us the journey is all there really is. Tanya Huff’s no stranger to the road trip novel, as anyone familiar with her Quarters books already knows. But it’s her most recent novel The Silvered that really fulfils the criteria. This is a secondary world fantasy, with a setting that echoes our Napoleonic period. At first glance, the book appears to be a war novel, with an invasion barely staved off in the opening chapters. 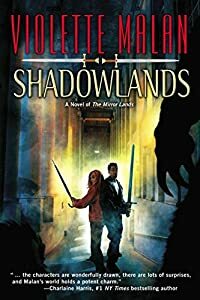 In fact, it’s a road trip novel, as Miriam Maylin, a failed student-mage, accompanied by a young and unproven werewolf soldier, follows the trail of kidnappers to the capital city of the enemy. For parts of the journey, they are themselves prisoners, so we get to see the road trip itself from at least three different perspectives, and we get to see how travel really does broaden the mind. Gabrielle Gantz is an incurable book pusher. When she’s not reading, or forcing others to, she’s listening to an inordinate amount of podcasts, taking pictures of weird things, and drinking obscene amounts of coffee. She writes about art & culture at The Contextual Life and can be found on Twitter at @contextual_life. Alisa Krasnostein is the Creatrix and Publisher of Twelfth Planet Press and a podcaster (one-third of the Hugo-nominated Galactic Suburbia). I’ve recently just embarked on a rewatch of Star Trek Voyager. And for that reason, I’m going to say that right now, my favourite road trip is the trip home for the crew of the Intrepid-class USS Voyager. After being blasted over to the other side of the galaxy with the rogue Marquis ship she was sent to track down, Captain Janeway could have given up hope of ever returning home. With a trip ahead of 75 years at fastest warp speed, it could have been easy to give up, find the most hospitable class M planet and set up a colony to live out their days. Instead, Captain Janeway inspires those around her to put aside their differences which no longer matter this far away from home. She merges two sets of crew, finds the strengths in those around her and sets off in the direction of Earth, with the intention to look for any way that could speed up that journey home. Along the way, we experience what every good road trip story has to offer – the exploration and growth of those on the journey through the ups and downs of the messes they get into along the way. What I love about this trip is the courage and determination of the crew to never give up no matter how grim the situation, no matter how slim the chances that they might get home before everyone they know and love has died of old age. Throughout everything, even the victories, there’s that bittersweet undercurrent of hopelessness that no one is really willing to acknowledge or pay much heed. That, and I love the strong, intelligent, capable women that play vital roles in this ensemble cast. As a child I lived in a town a long way away from anywhere else interesting. For reasons that are still unclear to me, but I believe included at least one part “won’t this be great for family bonding?” and one part “children should actually see their country not just fly over it,” my parents decided that our holidays would involve car trips. Long car trips. The longest we ever undertook as a family was about 6 weeks, covering about 10,000km. I love a road trip despite this. Road trips have a long history in fiction and in history; The Odyssey is mostly one, the Israelite Exodus has road-trip overtones, and Marco Polo was clearly mixing business and pleasure. The 18th-19th century Grand Tour is a snob’s version, and then there’s the grand Out-Of-Africa palaeontology narrative. Humans love travel, and the road-trip story allows the reader to travel while still sitting smugly in comfort – the best of both worlds. I would have to imagine it’s also a fun exercise for authors, since it gives them every excuse to be as imaginative as possible in creating world/s and showing them off to an audience. Fantasy has long made use of the road-trip. The Lord of the Rings and The Hobbit are great examples; every person that says how boring is to read about Aragorn, Legolas and Gimli chasing the Uruk-hai across the plains? I Do Not Understand You. I love it: a road trip and a chase, and it involves an elf! Other fantasies whose road trips I have loved include everything by David Eddings, but particularly The Elenium because Sparhawk, the older, world-weary character, has a cynicism about the world that I adored as a teenager. When that cynicism is put together with the whole having-to-meet-new-people aspect of travel – well, I loved it. Most quest narratives make use of road-trips; Megan Whalen Turner’s The Thief, Michael Scott Rohan’s Chase the Morning… and on and on. In terms of SF, I think Kim Stanley Robinson’s 2312 does a good solar-system-wide Grand Tour, showing some of the possibilities for human colonisation as well as making good use of the travel itself – and this is a marker of the really great road-trip story: the travel is meaningful, both to the plot and to character development, and interesting. Battlestar Galactica (and I’m only talking the most recent version, sorry!) is a road-trip; all of the events happen while undertaking their journey to a new home. While that fact doesn’t dominate every single conversation, it’s still a driving factor in every important decision made. Again there are quest-narratives in SF that use road-trips: Beth Revis’ Across the Universe, Elizabeth Bear’s Jacob’s Ladder series – all those stories that involve generation ships! I am very happy to read stories that stay home and discuss and do Important Things. But if those Important Things mean you have to go out and explore the world as well? I’d love to come along for the ride. It’s so much easier to think of TV and movies that do the ‘road trip’ trope well – probably because it is a story all about what you see along the way. A lot of quest stories look like they might be road trips, but really they’re all about where you’re going, not the journey itself – and the best thing about road trip stories is when you get where you weren’t going, or get where you thought you were going only to find it’s totally the wrong place. Doctor Who, on the other hand, may be a road trip on a colossal scale, but very few of the individual stories feel that way because we usually skip the travelling part. The best Doctor Who road trip of all time was probably “Marco Polo”, back in 1964 (one of the sadly lost-forever stories) in which the TARDIS crew end up joining Marco Polo’s caravan for at least a month, hauling themselves over mountain and crevasse to reach Kublai Khan. In fantasy fiction – sure, there are plenty of examples I could bring up, but I’m going to stick with two. My touchstone fantasy fiction Road Trip With A Crew of Assorted Odd People Along For The Ride isn’t anything by that newfangled Tolkien fellow, it’s L. Frank Baum’s The Wonderful Wizard of Oz, and almost every Oz book that followed. I also love Terry Pratchett’s Witches Abroad, featuring the travelling adventures of Granny Weatherwax, Nanny Ogg and Magrat Garlick. The novel keeps up a constant narrative about travel and tourism, while celebrating and parodying the format of so many fairy tales and fantasy stories (including The Wizard of Oz itself) which look on the surface about getting somewhere specific, but are really about travelling the long way around, to see the elephant. In a sense every book is a journey – into the experiences, imagination, understanding of another. And I’m sure I will not be alone in making that point. But at the same time, I’m struck by how many of my gateway books into sff were literally about journeys, from Voyage of the Dawn Treader (my childhood favourite, which I first read aged 5) to Marvin Kaye and Parke Godwin’s post-apocalyptic The Masters of Solitude, which was a highlight of my teenage reading. Both are tales of exploration in search of information; both in the end reveal their journeys as being more than their protagonists thought them to be. And both, in their very different modes, are examinations of cultures and peoples in contrast to each other, touching each other’s edges, confronted by each other’s beliefs. Both are, abundantly, about variety and difference, although one is cosy and the other bleak. I’m not sure either can be said to be non-judgmental: Lewis’s work is informed by his faith and his tale is thus constructed in terms of a specific and narrow moral framework, and years on, I am no longer so enchanted by Dawn Treader and its snapshots of otherness. Solitude is an examination of political systems in collision – urban versus rural, elite versus lower class, religious versus free-thinking – in a world shaped by a late 70s US understanding of society, and its conclusion, a sort of Walden-esque rural egalitarianism – struck me even as a teenager as rather weak and easy. But what I took from both, as a young reader, is that there is far more the world than I knew, and that that was as it should be. The journeys I made with Lucy and with Arin have stayed with me, a kind of capsule of that most science-fictional of goals, sensawunda. And I still love to share journeys, to have the privilege of being allowed a glimpse into another way of understanding, of other histories. Dawn Treader and Solitude place the outsider at the centre of the story and the societies that are encountered are represented through outside eyes, exoticised and refracted through the lens of personal expectation and judgement. It’s the most common mode for journey narratives, from the voyages of St Brendan and the travels of Marco Polo onwards. But for me, the most important journeys are those which confound and question outsider beliefs and deny outsider judgements. I think the first time I met this kind was in the writings of Ursula Le Guin, again at first in childhood. In the Earthsea books, and the Annals of the Western Shore sequence, and Always Coming Home, Le Guin offers a more nuanced glimpse into other states of living, confronting readers not with the foibles of others but the limitations of their own knowledge: our ways are not the best, our beliefs not the most constructive, ourselves not the most advanced, kindest, desirable. As a child, I was fascinated by her ability to give glimpses of histories and stories on the edges of her main narrative, which felt as real and immediate as the latter, and yet were never explained. They were not there for my consumption, they were just *there*, the rightful property of others. At the other end of the scale, Alan Garner, in The Weirdstone of Brisingamen and The Moon of Gomrath took me on a journey into a tradition that did belong to me and in whose steps I could follow, at least on the geographical level. In an age when most of us are increasingly divorced from our home myths and tales (by urbanisation, by a post-Victorian education system that values fact over speculation and analysis over imagination, and by a globalisation that commodifies and packages legend and folklore for consumption by outsiders) Garner spoke directly to the kind of landscape knowledge that was coded in the stories told me by relatives and glimpsed in the retellings of folk tales by Roger Lancelyn Green. The reader may not be able to repeat the adventures of Colin and Susan and interact with the creatures of Welsh and English legend, but she can follow their tracks on the land – and the books come with maps that facilitate this. They are insider narratives, speaking out to the wider world, yet tied by tightly to a place, a time, a people and as such they spoke and speak more clearly to me than all the US-written Celtic fantasies that have followed them, and, as these latter become less and less mine through more and more outside retellings, I find myself returning to Garner to rediscover my connections to my culture. More recently, Karen Lord’s Redemption in Indigo and Nnedi Okorafor’s Who Fears Death are powerful insider narratives of journey, which take the reader through powerful experiences without compromising these to the western gaze or prioritising western prejudice. They are not mine, and I am honoured that their writers permitted me this glimpse into their modes of expression and understanding. They are written to the needs of their home culture and not to the outside world, they are written without pandering to what outsiders know or want to believe and thus they keep their power. For journeys, in the end, are about understanding, and when we offer our journeys, we offer pictures of ourselves. The hell ride in Nine Princes of Amber by Zelazny. Passing through shadow after shadow, with Corwin amnesiac. Wonderful sites going by, such as Kentucky Fried Lizard Parts…..
Hey, I was focusing on ONE FAVORITE. More would have become a 5,000 word essay…. I started writing determined on mentioning him, because that description has haunted me for years and is one of the best accounts of transformation out there. And I finished and hit send and said, ‘oh, no, Zelazny!’. Mea culpa: that is one of the greatest journeys ever. I’m sad that Destiny’s Road by Niven wasn’t on anyone’s list. Enjoyable! The “road trip” aspect of Le Guin’s books is interesting. Besides “Left Hand of Darkness,” “Always Coming Home,” ad “A Wizard of Earthsea” (all mentioned above), “Rocannon’s World” is also a road trip story. Terry Bisson’s Talking Man is explicitly a road trip and a fun ride too.